Kay and I enjoyed a beautiful Sunday wandering around The Basin. The skiing was fun in The Beavers and The North Side. 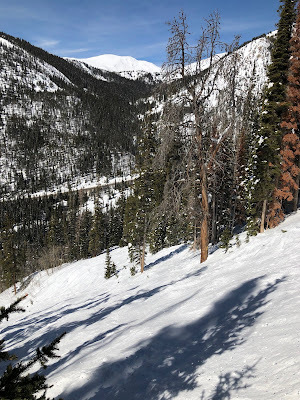 We did some powder skiing on the East Wall just after it opened, squeaked in a couple groomers and found great snow on Challenger. 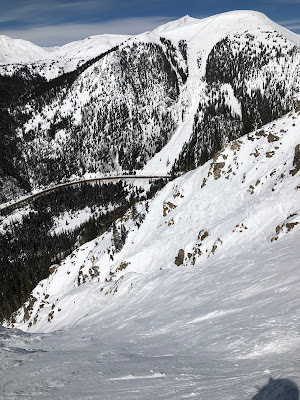 The last couple runs were in the 1st and 5th Steep Gullies including a couple of nice skins back to Pali.